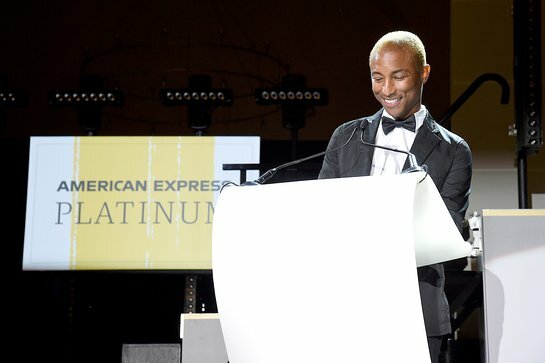 On September 10, over 300 guests gathered at the Brooklyn Museum, where American Express and its Platinum Card Creative Director, Pharrell Williams, hosted the Yellow Ball in support of arts education nationwide. All ticket sales benefitted Young Audiences Arts for Learning, the nation’s largest arts-in-education network, whose work strives to inspire young people and expand their learning through the arts. 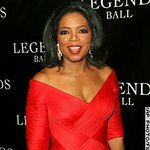 American Express also gifted $1 Million to the organization. Eligible Platinum Card Members also had the opportunity to receive a limited-edition yellow Platinum Card designed by Pharrell, in recognition for their support. Elizabeth Rutledge, Chief Marketing Officer, American Express shared, “We hope the limited-edition yellow Platinum Card, designed by Pharrell, will spark conversation and inspire more people to give back to the arts and other causes and communities.” Card Members also had the opportunity to give back through on-site donation stations benefitting Young Audiences Arts for Learning. As guests left for the evening, the Empire State Building stood out across the New York City skyline lit up in yellow as earlier in the day, Pharrell Williams, alongside Elizabeth Rutledge and David Dik, participated in the ceremonial lighting of the Empire State Building in support of Young Audiences Arts for Learning and the Yellow Ball. Notable celebrities and influencers in attendance included: Pharrell Williams, Helen Lasichanh, Missy Elliott, A$AP Ferg, Daniel Arsham, DJ Stretch Armstrong, David Blaine, Chef Dominique Crenn, Alicia Keys, Swizz Beatz, Sean Bankhead, Jaquel Knight, Ronnie Fieg (Kith), Chef Jean Imbert, Sheldon “Shae” Haley (N.E.R.D), Coco Rocha (Model), Lauren Jauregui (Fifth Harmony), Charlie Puth (Singer), Viraj Puri (Gotham Greens), Darrelle Revis (Former New York Jets Cornerback), Halston Sage (Actress), Billie Eilish (Singer), June Ambrose, Stephanie LaCava, Greg Davis Jr., Jillian Mercado, Dustin Yellin, Brian Donnelly (KAWS), Anne Pasternak (Brooklyn Museum), and more.